When we moved out west to Alberta from Ontario almost a decade ago, our motivation was an exciting employment opportunity — not for me, but for my corporately accomplished wife. As part of the deal, I agreed to take over the primary parenting and homemaking duties. This wasn’t a huge stretch. I had always been actively engaged as a dad and once our twins were born, I must confess, I found my working life paled in comparison to my interest in and passion for parenting. I embraced the role of stay-at-home-dad, while my wife left the house very early each morning to slay corporate dragons. At first, I relished the chance to prove my muster as a primary parent, but I wasn’t prepared for some of the challenges. I wrote about that experience — coming to terms with the role of being a primary parenting dad among a sea of moms in a society that just didn’t get that I wanted to be doing this. And, of course, there was the laundry — oh, the laundry. Several years later, life feels very different. Our kids are older and so much more independent. Many of the other primary parenting moms are friends and have long-since become accustomed to the fact that I am often the parent in our family who plans and coordinates the kids’ activities. Something else happened along the way. I built a small consulting practice into a growing digital media strategy business with a number of contractors and a full roster of clients. I am required to travel more, so the kids have learned to take care of themselves and my wife takes over the primary role when I’m away. But once roles between parents are worked out, they tend to stay in place. Since I was the primary parent for the formative elementary school years, and I work from home with considerable flexibility, it just seems easier to keep it that way. Like many working parents, I have two jobs — the one I do based out of my home and the other one I do in it. I plan my work days around school day start and end times, transport the kids to and from extra-curricular activities and medical appointments, shop and keep the fridge stocked and do most of the meal preparation and laundry. 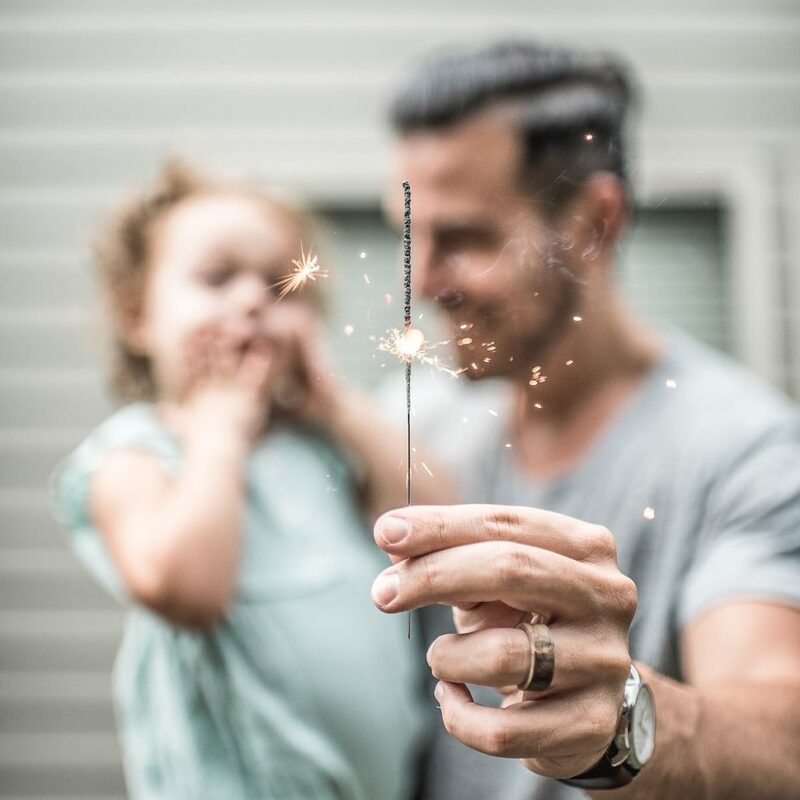 Mine is a great life, and I would advocate wholeheartedly, this is a great way for men to approach parenting if they can make the economics and their own career/life aspirations work with their spouses’ goals and aspirations. 1. Closeness with your kids becomes second-nature and lasts for your entire lives. I’ve always envied the relationships that moms traditionally had with their kids, not so much the ones that dads traditionally had. I’m not dissing dads who have careers outside the home. It’s just, obviously, difficult when you’re the primary breadwinner and you’re out there working, traveling and stressing about bringing income into the home, to take the time to be the primary parent. Working moms are often told they can’t have everything – and working dads are no different. You can’t be the one working 60 hours a week outside the home and also be the one working 60 hours a week inside. That’s not how time works. I love being the one who is present, the one who is home when they get home. I like knowing what they think, and who their best friends are at school this week. I’ve always noticed, when spending time with my kids, that it’s not the main activity you’re doing that’s so enriching, but the time in between. It’s the conversations you have on the way to music lessons, or the ball game, or shopping that are the most revealing and endearing and important. There’s an intimacy that comes from day-to-day familiarity with your kids and it creates a foundation for the relationship you have with them rest of your lives. it’s wonderful to be a part of it. 2. Creates opportunities for women to pursue professional opportunities fully. Dads need to take the lead at home if moms are going to have equal opportunities to succeed in the workplace. It’s as simple as that. As men, we have benefited professionally from our spouses taking responsibility for our family lives. Increasingly, women have economic opportunities that equal and exceed those of men, but are held back by the outmoded expectation that their unique role is to care for the family. If you believe in egalitarianism and the rights of women to equality in the workplace, then you need to step up and do your part. For contemporary men and women, the personal is indeed political. As men, our personal choices and acceptance of lead responsibility for family, childrearing and homemaking, is how we change the world. 3. Balances relationships in fundamental ways that are off-kilter as a result of society’s biases. Most successful relationships are built on a foundation of balance. I am not suggesting that most relationships don’t arrive at a fair division of overall labour, but that’s not my point. My point is that parenting roles need to be determined more by pragmatic realities of the situation and less by social, gender-based determinations of what is men’s and what is women’s work. Domestic work is not, generally speaking, gender specific. Men are as capable as women at cooking, cleaning and caring for kids. If your spouse is excelling professionally and/or has better opportunities or prospects for doing so, a man needs to step up and take the lead domestically. Assuming you both want a family life, this balance is needed to optimize each person’s role and the overall success of your domestic arrangement. And this lead role can move back and forth between spouses at various times in your life. 4. May suit your temperament better than working outside the home. Men are socialized to work outside the home, while women are taught to be caregivers. Based on my own personal experience raising children, I would not deny that there seems to be some biological aspects to gender role development. Yet, the social streaming starts early in life when role-modelling begins and is relentlessly reinforced in various social and cultural ways throughout key years of personality development. Despite all of this social streaming, we all develop our own personalities based on our experiences. Some of us men, it turns out, can be excellent caregivers and are very comfortable in that role. And some of our female spouses turn out to be exceptionally competent and driven to succeed professionally — and this motivates them as much or more than being primary parents and caregivers. Of course, they want families. But they also want professional success. At some point, I decided I wanted more from family life than the traditional working dad role appeared to deliver. So, I went for it and was fortunate enough to find a life partner with complementary skills and ambitions. If I had it all to do over again, I’d do nothing differently. Absolutely inspired me to share my own story. Thank you Jay!